What If Dragon Ball Characters Are Pinoy Showbiz Personalities? For millions of Filipinos, a huge part of their years growing up included watching and re-watching on television the animated series Dragon Ball. Childhood memories include running home after school to catch the latest developments in Son Goku's inter-galactic adventures. Or staying awake in lazy Saturday and Sunday afternoons to watch re-runs from the week before. This was during a time when Counter Strike and Clash of Clans were yet to rise as the entertainment of choice for a lot of Pinoy youngsters. It's now 2015 and surprisingly enough, the Dragon Ball series still remain as popular as ever. It has been reincarnated several times with Dragon Ball Z, Dragon Ball GT, Dragon Ball Kai, and the latest Dragon Ball Super which is scheduled to start airing this coming July. Son Goku, Vegeta, Piccolo, and the rest of the Dragon Ball gang are embedded in a lot of Filipinos's childhood memories. If you are a fan of the series (then or now), then you are going to appreciate or be amused by the following artworks that attempt to portray popular characters from the series as Pinoy showbiz personalities. 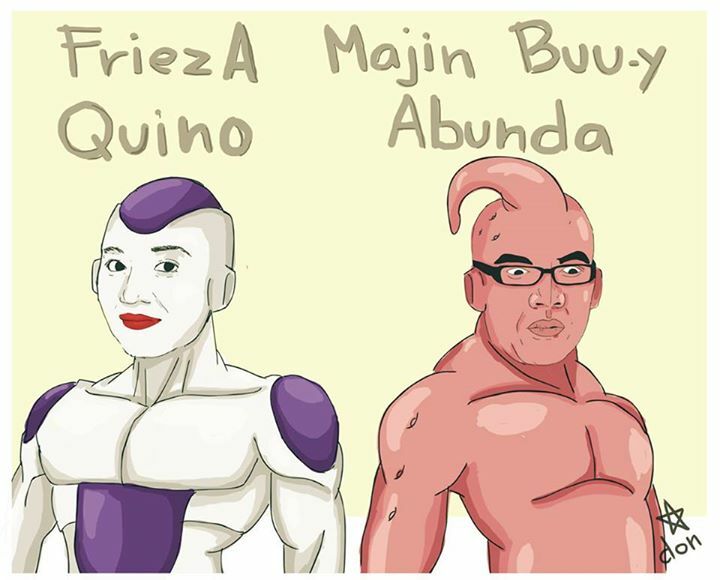 There's Kris Aquino as Freeza. There's Boy Abunda as Majin Boo. There's Coco Martin as Son Goku. There's Piolo Pascual as Piccolo. There's Cheeta-eh as Vegeta. And last but not the least, there's Vilma Santos as Bulma. The artworks are created by an artist who goes by the name of Don. You can find more of his beautiful and often weird drawings at his Facebook page or on his blog.